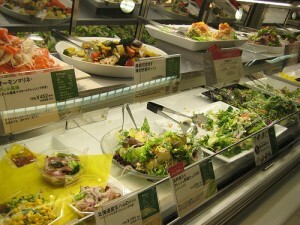 Japanese gourmets love department store food floors, where they can get all kinds of delicious food to take home. 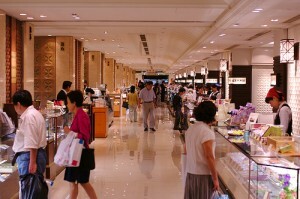 The food floor is called “depachika” which means “a basement floor of a department store” because food floors are usually under ground. 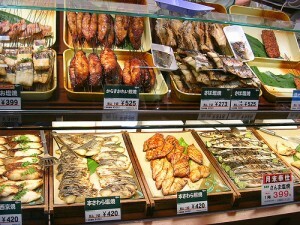 In depachika, there are food sores which are famous for the tastes and the quality from inside and outside of the country. During a weekend, many people wait in line to buy their food. For the last 10 years, depachika have been improved and gaining more customers. It’s like every TV show, news paper and magazine covers it now. 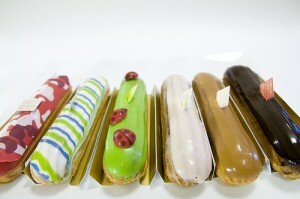 There are variety of food in depachika, but sweets stores often get customers’ and the media’s attentions.